With technology becoming more and more advanced these days within the golfing industry, it is not surprising to find an extra five or ten yards of distance when switching from clubs that are a few years old to new ones on the market today. However, even though one may find extra distance more often than not it is very inconsistent, mostly due to the fact that one is not hitting the ball on the sweet spot of the clubface every time, and this leads not only to less yardage on iron shots but less accuracy as well. When it comes to iron sets that truly help one to gain both distance and accuracy on a consistent basis, look no further than the Adams Super S iron set. On Golf Digest’s Hot List for “game improvement,” the Adams Super S irons is a trademark hybrid iron set with a revolutionary half-hollow construction that allows for greater weight distribution, a thinner face, and an improved launch angle as well. What follows is an overall review of the Adams Super S iron set. The long irons feature both a 3 and 4 hybrid along with a regular 5 and 6 iron, and after having played with them they are by far the easiest irons to hit on the market today. The golf ball just shoots off the clubface whenever hitting them, and the 3 and 4 hybrids are really game-changing clubs for those who may be struggling in the long iron category. What really makes them stand out is that they have both a high launch and an amazing amount of forgiveness that allows one to still get great distance and accuracy on shots that are not hit on the sweet spot every time. Speaking of distance, the yardage on the Adams Super S high irons was great and should provide golfers of practically any handicap extra yards both off the tee and in the fairway. Two things that really stand out when it comes to the Adam Super S short irons are feel and control. It is not enough these days to have short irons that get good distance or stopping ability on the greens if they feel terrible, and Adams really hit the nail on the head with their short irons in providing a great amount of feel. One can also get great control out of the short irons as well, whether it is trying to shape the ball a certain way or getting the ball to land in a particular spot on the green. Both low and high handicappers can find benefits in using these short irons, and the distance and forgiveness is practically the same as the high irons as well. Adams Golf may be known for having the best hybrids on Tour these days, but they may soon expand into iron sets with their new Super S line. These irons are well worth it, and certainly deserve to be on Golf Digest’s Hot List in the game improvement section. 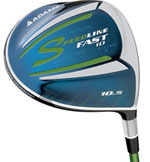 The Adams Super S iron set is not only extremely easy to hit, but also very forgiving and packed with distance as well. It is truly hard to find anything wrong with these irons, and golfers should certainly take them into consideration when looking for a new iron set to purchase. Long irons are quickly becoming a relic of the past with the introduction of hybrid clubs in the game of golf. Instead of having to hit difficult shots with a high iron, one can instead get the ball in the air much easier using a hybrid. There is only one company on the cutting edge when it comes to hybrid clubs, and that is Adams Golf. Their Idea series hybrids have won numerous awards over the past few years and are played by both PGA and Champions Tour players alike. With such a great reputation of building quality golf products, I decided to give the Adams A70S Hybrid a try. As a Golf Digest Top Pick for 2010 in both innovation and value, the Adams A70S hybrid is in a league of its own when it comes to these types of golf clubs. The hybrid club has three features worth mentioning. The first two involve the weight placement. There is a total of 44 grams placed on both the heel and toe of the golf club to increase distance and add forgiveness. The weighting is also placed lower than their previous hybrid models, which provides a higher launch angle and increased spin. 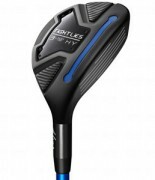 The last feature worth mentioning is the shaft, which is a Grafalloy Prolaunch Axis, which gives added distance along with great feel when swinging the golf club. The first positive that I noticed when swinging the Adams A70S Hybrid for the first time was its clean look. There is nothing fancy or complicated lines on it or anything like that; it is very easy on the eyes and can surely give added confidence before anyone swings the golf club. The best positive associated with its golf club is its forgiveness. I intentionally hit a few shots off of both the heel and the toe of the golf club, and all of the shots went much further (and more accurate) than expected. What is great about this golf club as well is that it is great to hit both on the tee and in the fairway. There are a few doglegs at a local course I play at and I was able to tee it up and hit the exact kind of shots I needed to hit with confidence. If you know how to hit a draw or a fade with a normal club, you will be surprised at how much easier it is to do it with this golf club. When it came to distance, the golf club was comparable to that of others on the market. The main negative for the Adams A70S Hybrid came in regards to bad lies. Sure, it is great to hit out of the fairway and off the tee, but none of us can keep it in the fairway all the time. It is important to have a golf club that can inspire confidence when hitting out of bad lies such as deep rough, and I just could not find it when using this golf club. Maybe it has to do with the way the weighting is set up or something, but it was very difficult to hit solid shots out of deep rough when using this hybrid. Usually a hybrid just cuts through the grass like butter (Callaway Heavenwood comes to mind) but with this club both the distance and the accuracy was off. I was also a little surprised when it came to fairway bunker shots as well. Hybrids are a great alternative to hitting a high iron shot out of there, but I found myself hitting better shots using a choked down five wood as opposed to this club. Again, I do not know if it has to do with the weight distribution or something, but the shots just did not feel solid. 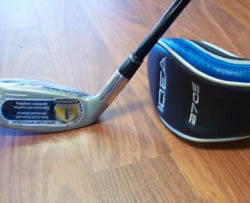 My overall consensus on the Adams A70S Hybrid is that it certainly lives up to its billing as a well made golf club. While it may not be the best club to use in bad lies, it is absolutely fantastic to hit from the fairway and off the tee. It is also very easy to shape shots and get good distance when using this hybrid, and is recommended for mid to low handicap players. 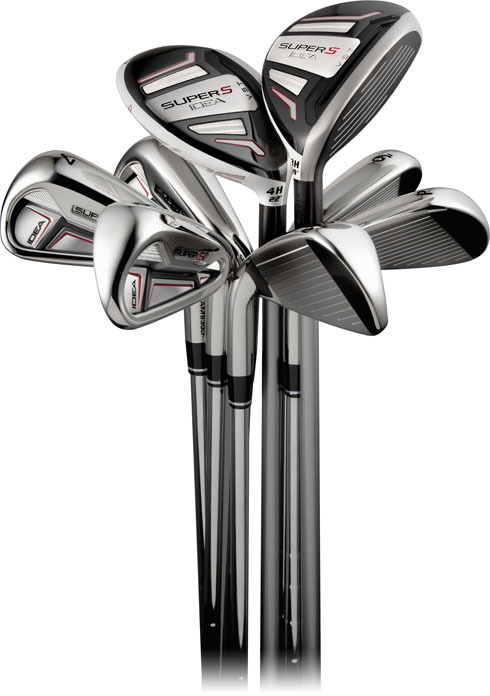 Take a look at some great deals on new and used Adams A70S Hybrid Golf Clubs. I recently upgraded from my old Callaway Steelhead 10.5* to the Adams Speedline Fast10 and am overall impressed. I have always had a left to right movement on my ball with the driver and the speed line draw turned my 240-260 yrd slice into a 250-285 yard draw that looks perfect. One thing i find about the speedline though is, that you have to hit pretty close to the sweetspot every time or it isnt going to be pretty. I actually dont mind the sound of it at impact either, kinda sounds like an aluminum bat. Ive definatly heard worse sounds from a driver. The club head and shaft was extremely light and I really had to slow things down. Most important, the sound off the driver face was impossible to tolerate. After all of the failures with the Nike’s, Calloway square drivers, etc and the horrible sounds they made, I was shocked to see such a reputable company would not have done their homework and given a more solid feedback and sound off the club face. My 17 year old son hit it and almost threw it in a lake after 2-3 shots before going back to his old R7. Their R & D department needs to go back to the drawing board on this one. 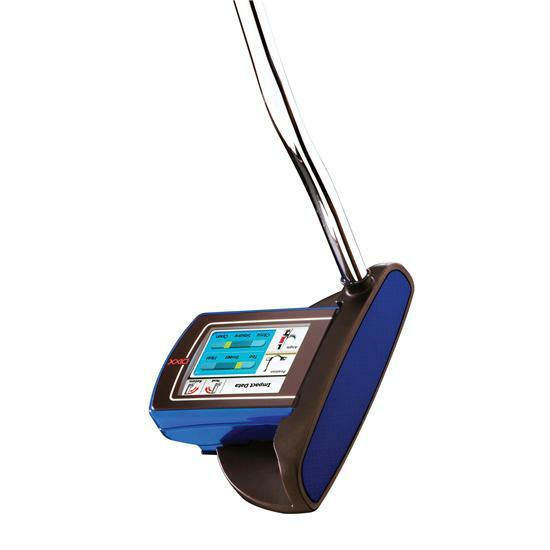 The Adams Golf DiXX BLU Digital Instruction Putter can make golf easier as this is a computerized training system. You get to know a lot of things about your playing style including your swing path, face angle and impact position. This putter keeps track of and analyzes the three most important elements in a golfer’s swing namely the impact position, path and face angle. The Adams Golf DiXX BLU Digital Instruction Putter comes with a playing module that has been approved by the USGA as well as a computer module that will help you use the putter efficiently. With this highly advanced putter, you can review your putting habits and correct them if there is a need to do so. You can choose between the Standard Mode or Pro Mode, whichever your skill level is. After putting, the screen will display the words “NICE PUTT” if you met all the three elements or indicate which of the three was not followed efficiently. The Adams Insight XTD A3 OS Fairway Wood with Graphite Shaft is a one of a kind hybrid you will easily learn to love. It offers greater distance and boasts of an easy-to-hit performance common in most hybrids. You can be assured that this golf club will improve your game thanks to the combined features of both the Adams Idea Boxer hybrid and the fairway woods. Plus your purchase is backed by a 30-day performance guarantee. If you are a player with a slower swing speed then you would benefit from this hybrid’s optimal launch conditions. With the XTD you get longer flight ball, increased ball speed, and off the ground playability and versatility. This hybrid offers high moments of inertia and greater forgiveness.